Congratulations are in order for the youngest member of The Club at Steyn City. 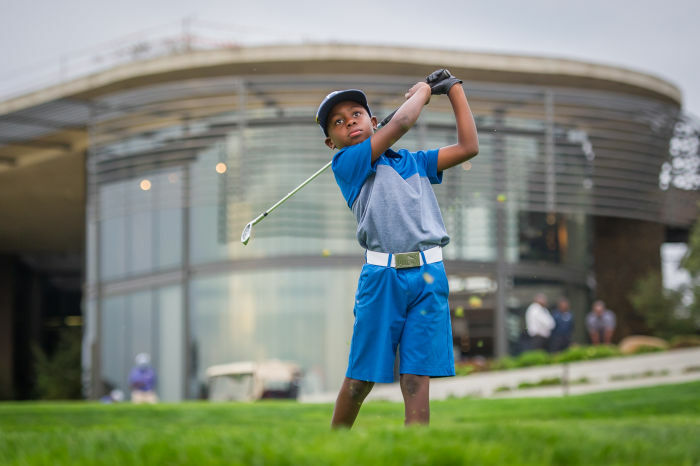 7-year-old Simthandile Tshabalala took part in the Australian Open Golf Championships and came fourth. He has acquired the global ranking of number 14 in his age category. The international press has been quick to draw parallels between Simthandile and Tiger Woods, especially since US golf officials have nicknamed the young star 'SimTiger'. Tumo Motaung, Simthandile’s coach at the Midrand golf club in Johannesburg, says the boy has remained calm and focused throughout the media storm that has followed in the wake of his success. Motaung describes Simthandile as hard-working, dedicated and focused. If he is able to hone his mental strength, he will become virtually unstoppable. Simthandile receives the full support from his family, with his father, Bonginkosi Tshabalala acting as his caddy. He also has the entire Steyn City team behind him says Giuseppe Plumari, CEO of Steyn City Properties. One of our goals was to create a development where youngsters feel drawn to spending time outside, instead of in front of screens. Seeing Simthandile on the greens is confirmation that we are succeeding in this goal. We also love following his story because we believe he’s a wonderful example of what people can achieve once they set out to try. We’re extremely proud to have a player of his calibre in our club. The Department of Women introduces men's and children’s robots following the launch of a women's robot.